Explore the stories that inspired the 'American Horror Story: Coven' series and Anne Rice's 'Vampire Chronicles' with this 2-hour cemetery and supernatural tour in New Orleans. See the homes that inspired 'A Streetcar Named Desire' and 'The Sound and the Fury,' too, as well as the former home of legendary Voodoo Queen, Marie Laveau. Hear about pirates and buccaneers who helped make the city infamous. 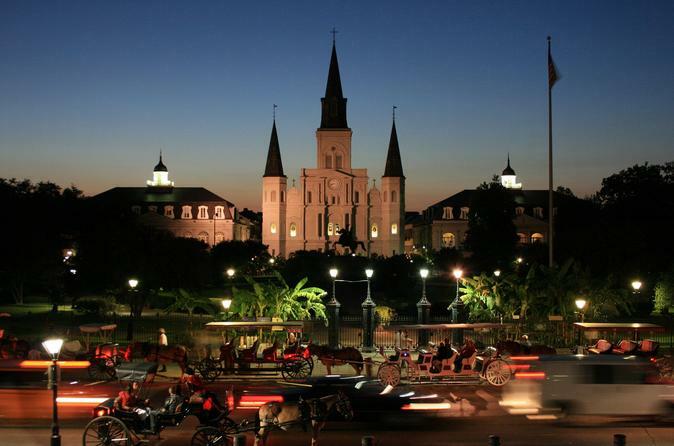 Meet your guide in Jackson Square in the French Quarter to begin this tantalizing tour. Next, see the homes that inspired the 'American Horror Story: Coven' series and Anne Rice's 'Vampire Chronicles.' Visit a Voodoo Temple and then Marie Laveau's house. The final stop on the tour is the historic St. Louis Cemetery No. 1, where you'll see the tomb of Marie Laveau and a pyramid-shaped tomb owned by the actor, Nicholas Cage.